There’s a lot rehappening at the Repub. 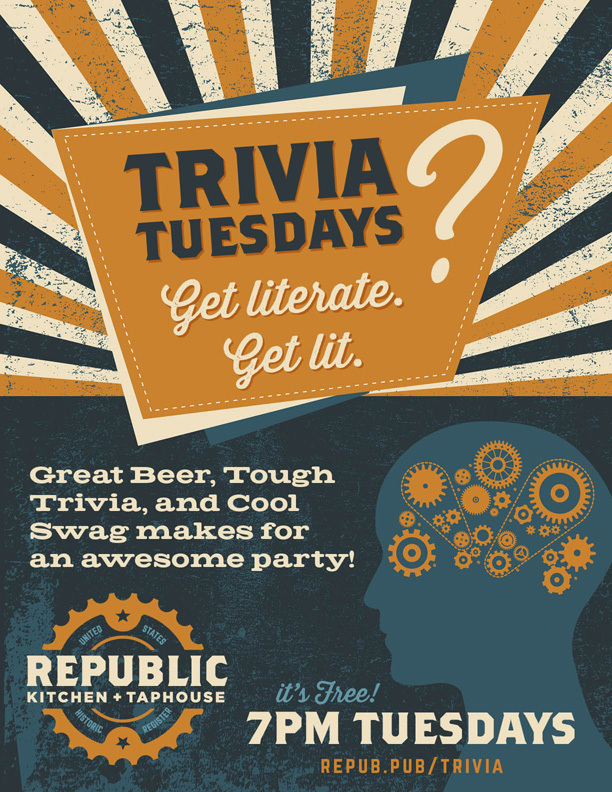 Join us every week for Trivia Tuesdays at Repub, with our friends from a new local brewery every Tuesday night at 7:00. Great local beer, tough trivia, and cool swag makes for an awesome party! We have a new trivia theme every week, with a new set of questions to bring your way. Always free to play & tons of fun. 120 E 4th, Post Falls.